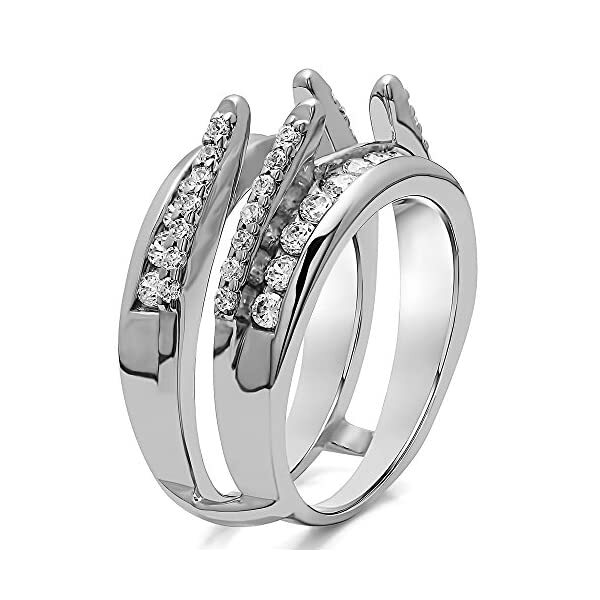 This listing is for a size 7. 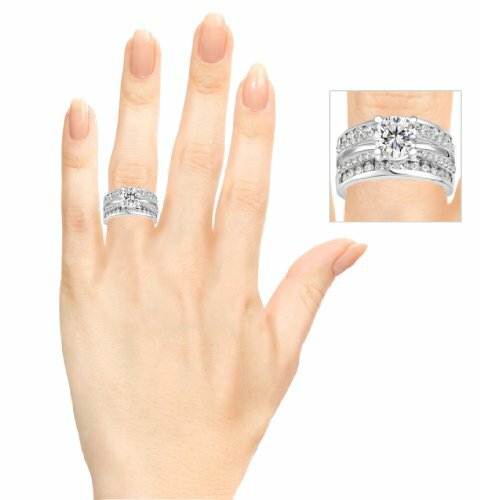 If you would like another finger size, please place your order and then message us with the request. This listing is for metal color WHITE. Listing is available in Yellow, Rose and in some cases Two Tone. If you would like any other color, place your order then message us the color request. Combination Cathedral and Classic Ring Guard. 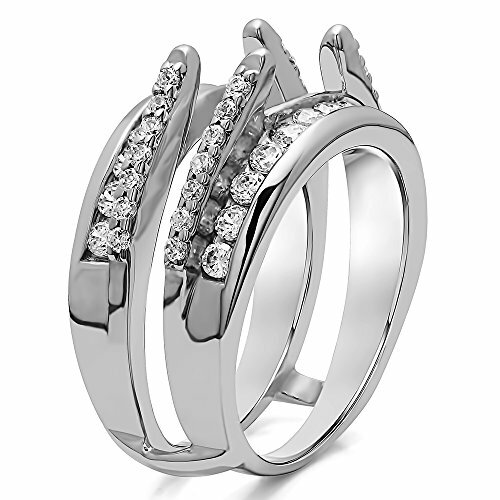 This ring guard is a combination of traditional ring guard, with a cathedral style center row. 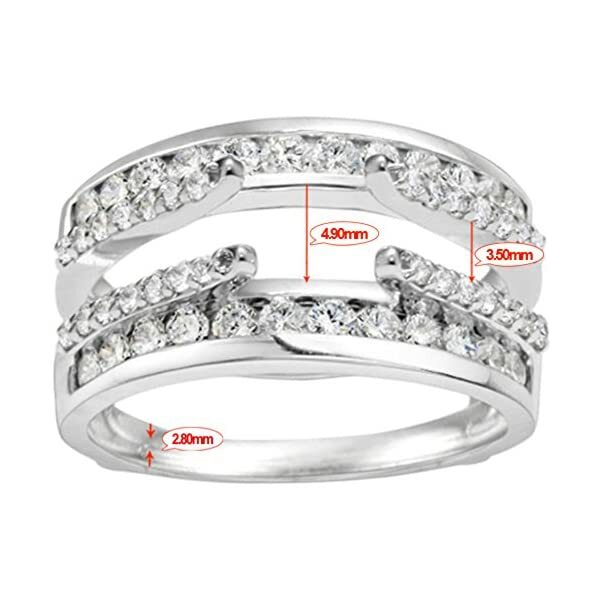 The center section sweeps upwards and the outer ring has a traditional profile. 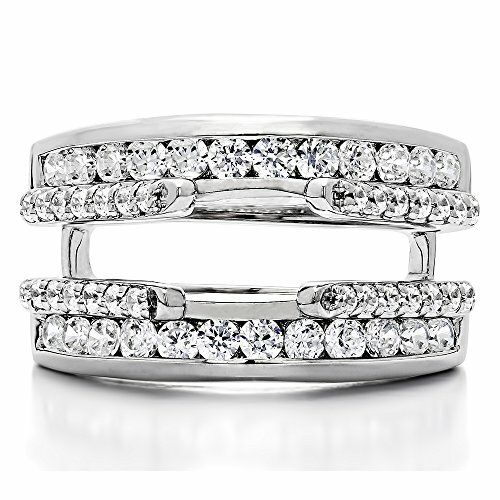 It is the perfect ring guard for the person that wants a traditional profile band for their cathedral style engagement ring. 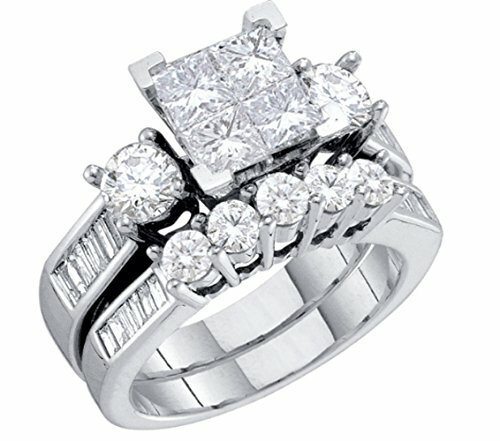 We are a made to order type company with over 20 years experience in the jewelry industry. 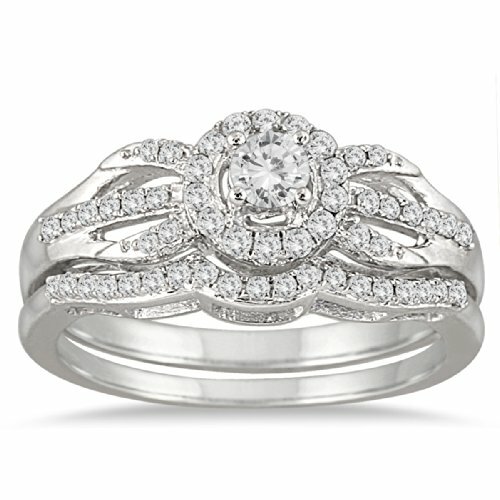 Each ring is individually made in your finger size, metal type, color, and stone selection. 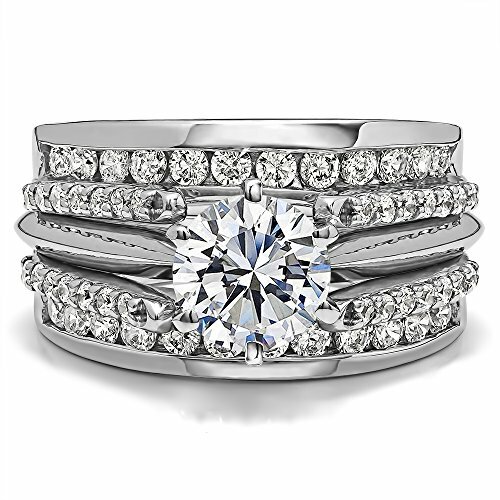 Basically, we create the exact ring that you choose and it is 100% MADE TO ORDER & BRAND NEW JUST FOR YOU! 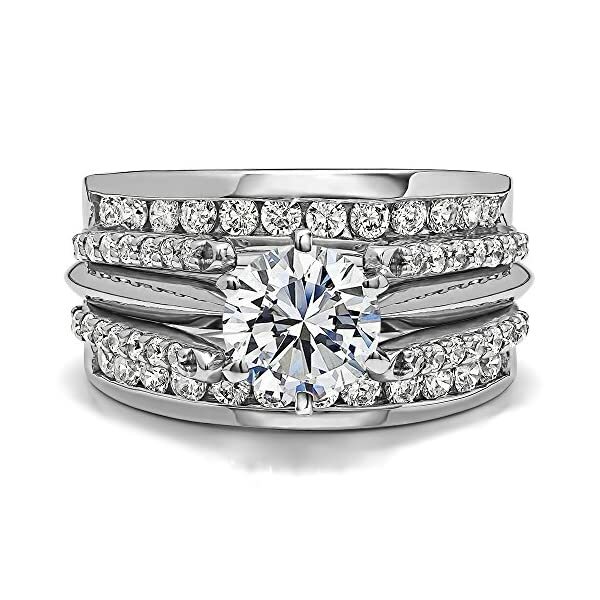 We offer anything you see in 10K, 14K, 18K, Platinum, or Silver with CZ, Colored Stones or Diamonds (qualities available from F color to I color and VS1 to I1 clarity). Please inquire if you wish to have a variation that is not listed. 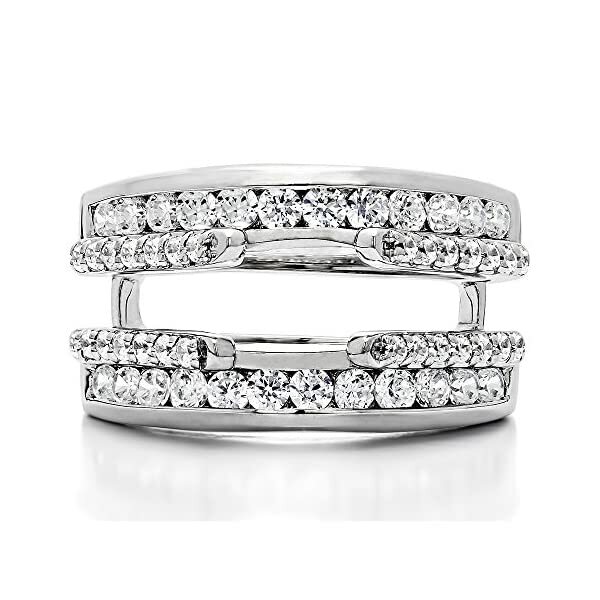 Please keep in mind that we have been making ring enhancers for well over 20 years. 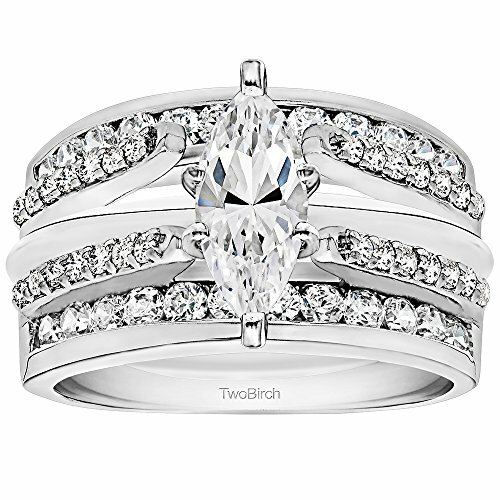 What makes us special and one of the crucial biggest reasons to buy from TwoBirch is that we will be able to customize each ring to fit your engagement ring. The process is simple. 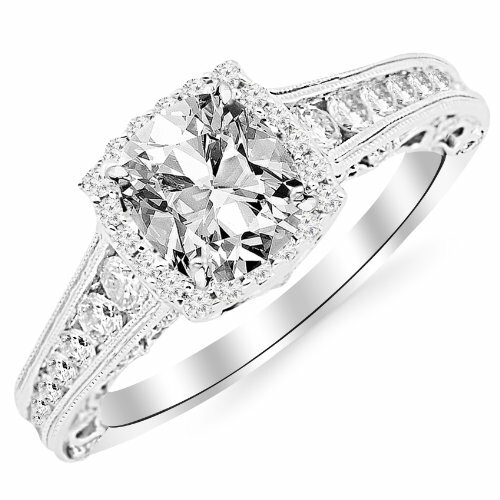 All you want to do is send us photos of your engagement ring from the top and profile view. 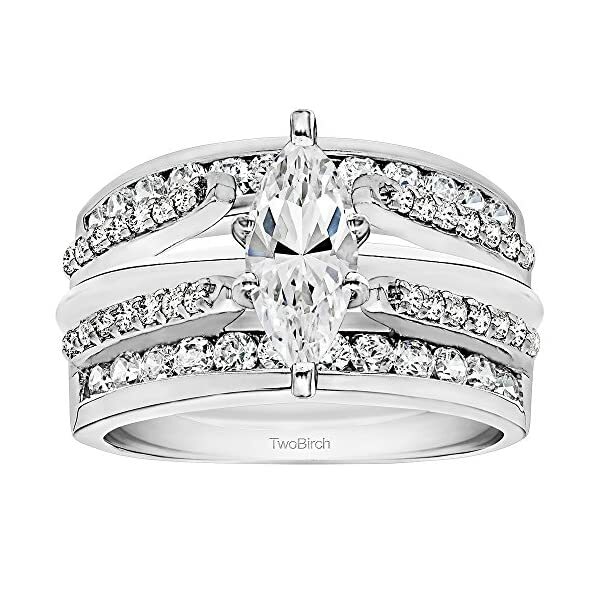 If that is not enough of a reason to buy from TwoBirch, remember that our 100% satisfaction guaranteed policy. 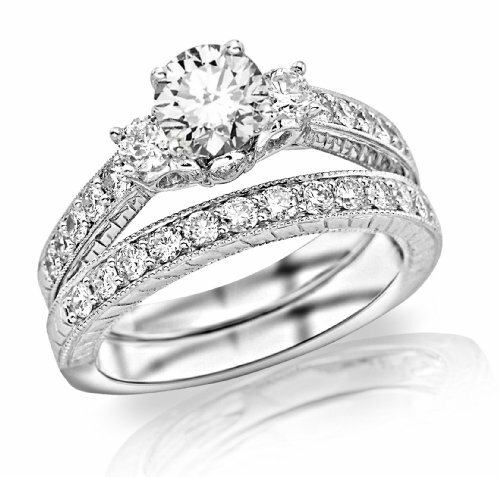 We have a no questions asked return policy which makes your purchase risk free. At the end of the day, we want you to be 100% happy. 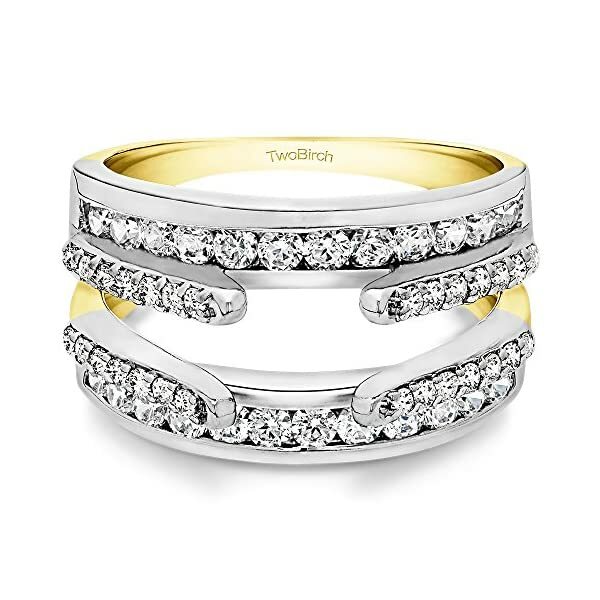 Feel confident when shopping with TwoBirch!! 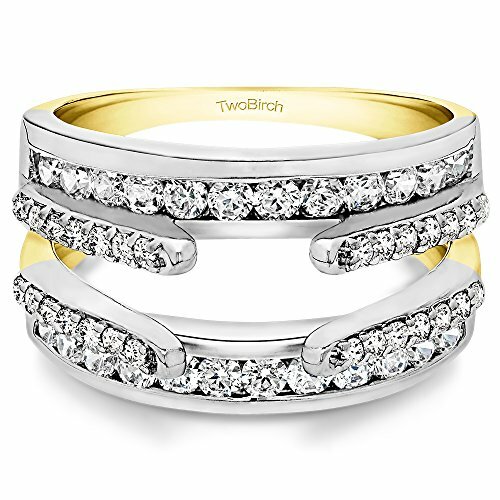 Set in 14k White Gold with gorgeous Diamonds G-H I2-I3, you are going to be amazed at how beautiful your TwoBirch jewelry will be. This listing is for a size 7. 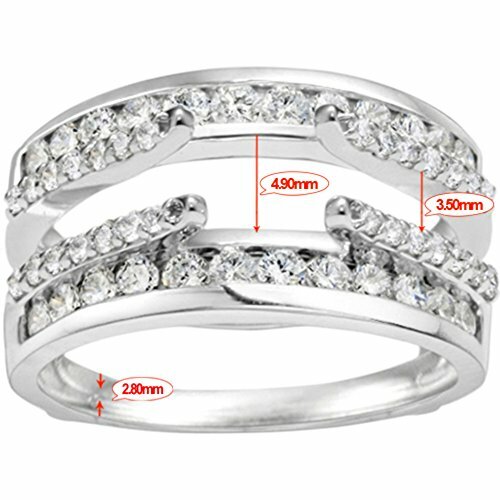 If you need another finger size, please place your order and then message us with the request. If you need any other color, place your order then message us the color request. Item in image is smaller than it sounds as if. It is enlarged to show details. Satisfaction guaranteed 30 Day No questions asked return policy.